You’re probably familiar with the Chicago-style hot dog, with its yellow mustard, chopped white onions, bright green sweet pickle relish, a dill pickle spear, tomato slices, sport peppers and a dash of celery salt on a poppyseed bun. Or maybe the New York-style hot dog, with a “dirty water” hot dog, deli-style mustard, sauerkraut or red onion sauce. Maybe even the Seattle-style dog, covered in cream cheese, grilled onions, and sometimes jalapeños or cabbage. For those of us in the Mountain State, though, the West Virginia hot dog reigns supreme: crowned with a meaty chili, coleslaw, yellow mustard and chopped onions. Hot dogs are the quintessential American food. With roots in German sausages, the hot dog immigrated to America and became a humble, working-class street food. Folks could peddle the cheap meal and make a few bucks, fulfilling that bootstrapping American dream. The West Virginia hot dog likely draws on those close community relationships and economic resources in the Mountain State for its toppings. 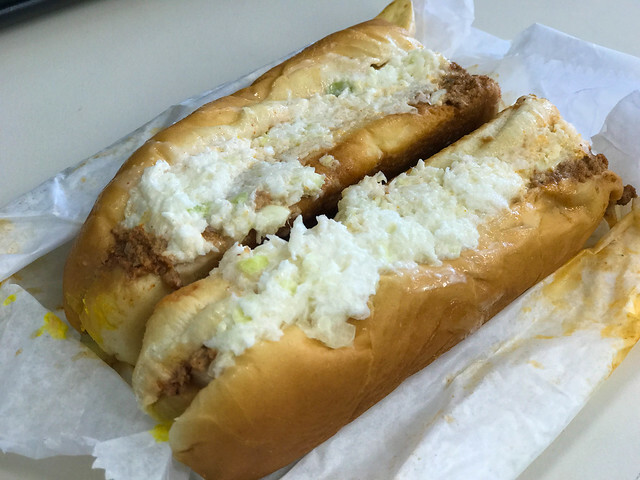 Jones is an occasional contributor to the West Virginia Hot Dog Blog, which documents the cultural phenomenon of the West Virginia hot dog, in addition to reviewing hot dog joints. It also serves as the authority on the culinary delicacy. Stanton Means, founder and head weenie wonk of the West Virginia Hot Dog Blog, expanded on the idea that the local hot dog specialty was crafted from the food that was available when the community — and country — was facing hardship. The simple hot dog topped with ingredients from backyard gardens or dinner leftovers became a local favorite. The West Virginia hot dog was born both from utility and creativity. And people loved it. “By the 1930s, there were lots of ads for hot dogs served with coleslaw in the Charleston newspapers. It had spread through the coalfields by the early ’40s. The only place that it is widespread outside of West Virginia borders is North Carolina, where West Virginians moved looking for work in the ’50s and early ’60s. It occurs occasionally in Alabama and Georgia,” Means said. And, while the West Virginia hot dog can be found throughout most of the state, there are even some small regional differences. For example, some areas in North Central West Virginia opt for no slaw on their hot dog. “The center of the anti-slaw resistance is Marion County,” Means said. Instead, that area focuses on the chili — a spicier sauce influenced by its Italian heritage, according to the blog. The West Virginia Hot Dog Blog created a “slaw map” to illustrate the counties that include slaw as a standard topping, and as the map moves north and east toward the panhandles, slaw is less common. And whether to call the meaty topping “chili” or “sauce” is still up for debate. In places like Marion County, and the Huntington area, it’s almost exclusively sauce. “First, let’s make sure that when you say chili that you are speaking of hot dog chili and not the kind of chili that has beans in it and you eat from a bowl. That stuff has no place on a hot dog. But as for hot dog chili, it is mostly the same stuff with the same ingredients as hot dog sauce. Where people call it sauce, its consistency is usually a little bit thinner, but, otherwise, there is almost no difference. Both sauce and chili can be wide ranging in taste and spiciness from location to location,” Means said. Whether you call it chili or sauce, the West Virginia hot dog plays a role in the lives of West Virginians near and far. 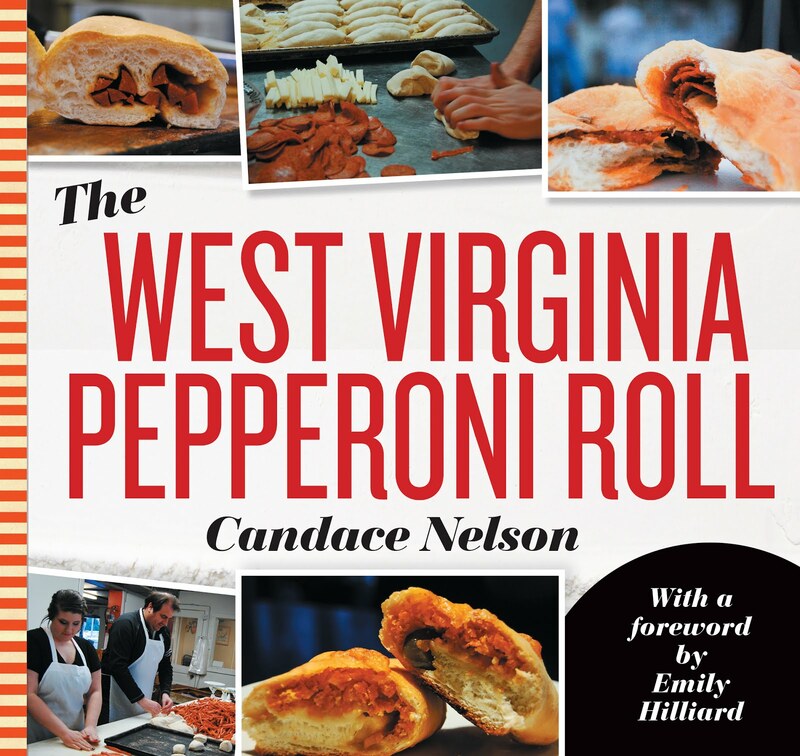 “For most West Virginians, a hot dog is not a hot dog unless it has chili/sauce and coleslaw. And when West Virginians travel to other states, they are often befuddled that people everywhere do not include these basic ingredients. This common experience is, I believe, at the root of why West Virginians hold so fast to the lowly hot dog as part of their heritage. It is a key, unifying little piece of culture that is uniquely ours,” Means said. Like many Appalachian food traditions, the creation of the West Virginia hot dog speaks to the resiliency and innovative capability of West Virginians. Something as simple as a hot dog topping helps define our food culture and what we value in our food. These small signifiers help illustrate a larger cultural identity — that West Virginians are resourceful, community-driven and can make one mean hot dog.